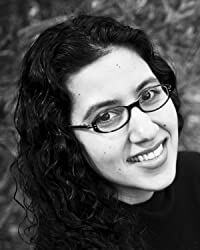 Gigi Pandian (El Cerrito, CA) was awarded a Malice Domestic Grant for Artifact, which was named a USA Today bestseller and a Best of 2012 Debut Novel by Suspense Magazine. Gigi has served on the Board of Sisters in Crime’s Northern California Chapter and is a member of Mystery Writers of America. CLICK HERE FOR MORE TITLES BY GIGI PANDIAN. The Accidental Alchemist by Gigi Pandian is the first in a new mystery series; unfortunately, it didn’t leave me much interested in reading the next two. Pandian has some decent ideas to work with, but issues with plausibility, pacing, choice of detail, and style had me thinking about giving up from about the halfway point on. To be honest, had it not been a review book, I almost certainly would have, making this one a “not recommended” from me.